Humanitarian and human rights activist Naomi Tutu will be the special guest for the Mannie Jackson Center for the Humanities Foundation (MJCHF®) Annual Speaker Series and fundraiser scheduled for Wednesday, March 28, 2018. 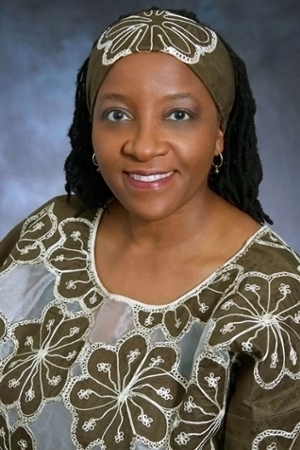 The highly anticipated annual event will be held at Southern Illinois University Edwardsville in the Morris University Center’s Meridian Ballroom with a cocktail reception beginning at 5:30 p.m.
Naomi Tutu has dedicated her life’s work to social justice on a global scale. She is the daughter of South Africa Archbishop Desmond Tutu, Nobel Peace Prize awardee and lifelong educator and civil rights activist. Tutu will share her powerful story of growing up in South Africa, and the influence her father has had on her life. She will discuss the importance of education, social justice, globalization, personal development, respect and diversity. Tickets are $200 each and available online at www.mjchf.org/tutu. Personal checks are welcomed in support of this Speaker Series event and the overall research, public engagement and education work of the MJCHF. To learn more about the Mannie Jackson Center for the Humanities, visit www.mjchf.org or call 618-655-2881. Photo: Humanitarian and human rights activist Naomi Tutu.